Case led the first wave of internet companies with AOL, fulfilling the vision he had of a “digital age” in college. He is now using Revolution’s “Rise of the Rest” initiative to benefit from the emerge of the new “third wave” of the internet, by investing in startups outside of Silicon Valley, New York, and Boston. He said that his career has, above all, taught him the importance of building mutually beneficial relationships. 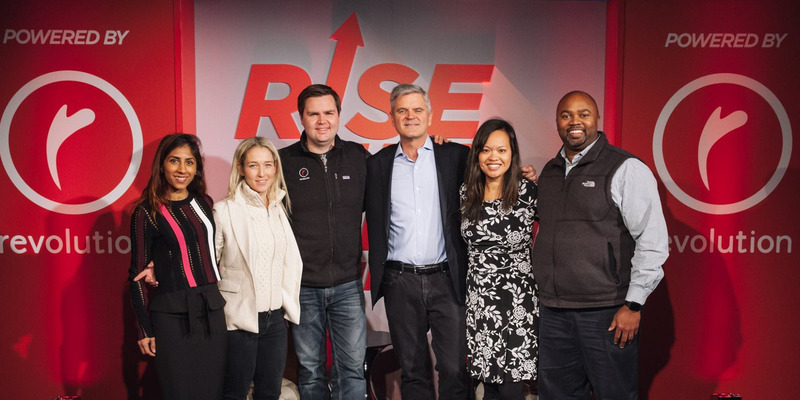 When Steve Case was in college, he read a book that said a digital revolution was coming. It seemed like a ridiculous idea at the time, but it stuck with him. It’s a massive undertaking that echoes some of the vision he had back in the ’80s as a fledgling tech entrepreneur. 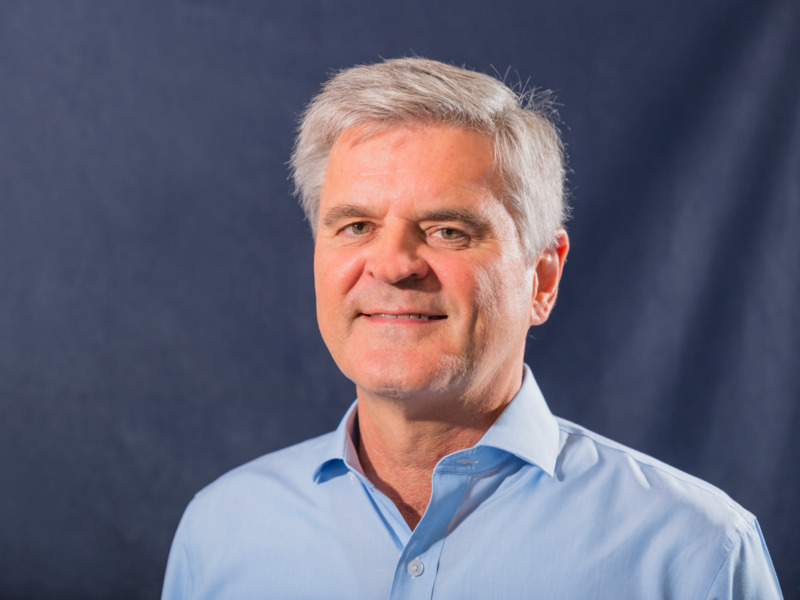 Come hear Steve Case speak at Business Insider’s IGNITION conference December 3-4. 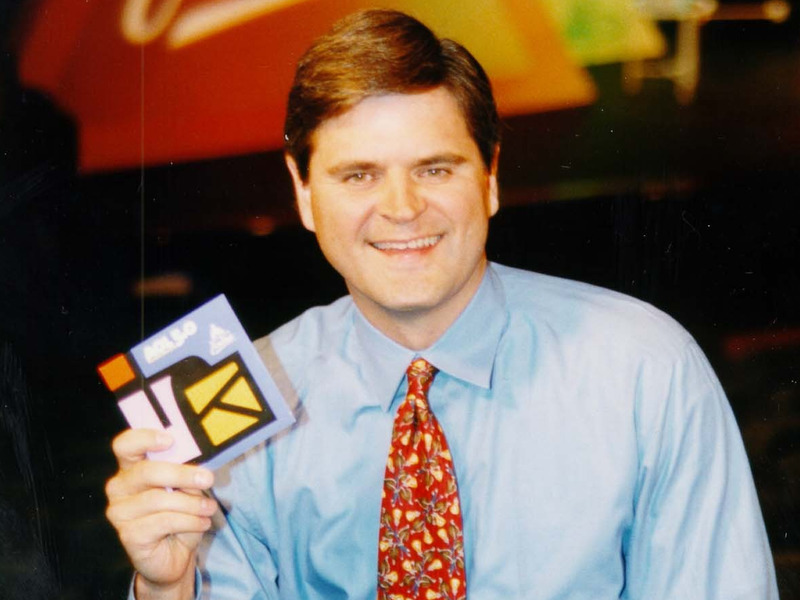 Steve Case: One of the things I was really passionate about with those early days in the ’80s and ’90s, and trying to basically make the internet part of everyday life, was levelling the playing field in terms of access to information. When I was growing up, there was basically three TV networks, and maybe in your town there’s one, sometimes two newspapers. But there weren’t a lot of diversity of voices, you didn’t really have a way to kind of get your voice out there. I didn’t think that was helpful, and similarly, it was harder to compete with some of the bigger brands and shop the commerce space. So, the idea of the internet was kind of levelling the playing field, and giving everybody access to information, education, commerce, reviews, whatever it might be, and that we felt was tremendously empowering. 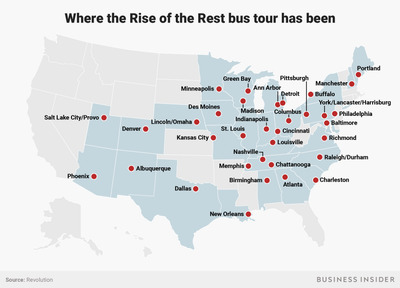 The “Rise of the Rest” is similar, and now it’s levelling the playing field in terms of opportunity. How do you make sure everybody really has a shot? And so, even though they’re very different ideas, and they’re separated by more than three decades, to me they are kind of similar. Richard Feloni: It’s kind of come full circle. Case: A little bit full circle. Feloni: So, as an entrepreneur who has this passion for high-growth startups, are you one of those people who are through and through an entrepreneur? Like, you knew that from the point you were a kid? Case: Yeah, pretty much. When I was a kid, I didn’t know what an entrepreneur was. I don’t think I had heard of the word. But the idea of starting little businesses and trying to create new things and see new possibilities, kind of always intrigued me. And so, I guess I was wired to be more entrepreneurial. It’s just kind of a little bit unusual, because my family is not particularly entrepreneurial. My father was a lawyer, worked with the same law firm for 60 years. My mum was a teacher. And so when I was pursuing some of these entrepreneurial ventures, particularly in the early days of AOL when it didn’t look like we were necessarily going to make it, they were fairly anxious about that. Just something about it that intrigued me. Feloni: So you came from a background where it was more like, maybe this is a bad idea, like why don’t you just go a traditional path in finance, or something like that? Case: Yeah, some of that. And I’d say I grew up in Hawaii, and Hawaii like many parts of the country is a wonderful place, but tends to be a little cautious, a little risk-averse. That fearlessness, that sense of possibility that does exist in places like Silicon Valley, doesn’t exist in many parts of the country, and didn’t certainly exists where I was growing up. So some of it may have been just a broader cultural kind of dynamic. But also, in terms of my family, it was more of a comfort zone was more kind of working for more traditional company. Then I actually did when I graduated from college in 1980. I had already decided I wanted to get into this internet thing, because I had read some things in the late ’70s about kind of tele-techs and video-techs, interactive TV, and online services, and a bunch of people were trying different things out in sort of early versions of interactive service. So I knew that’s something I wanted to do, but when I was graduating, there really wasn’t a way to do it. It was not really any consumer internet companies to go to, because it didn’t yet really exist, and there really wasn’t much of a startup culture back then, so the idea of kind of doing my own thing just really wasn’t on the table. So probably my parents thought it was awesome when I went to work for Procter & Gamble, a company they had great respect for. Little bit less awesome when I went to work for Pizza Hut, and much less awesome when I left the Fortune 500 world for the crazy startup world. In fact, the first thing I joined in 1983 when I moved to Washington, DC, ended up failing. It was unsuccessful, so it was kind of a wake-up call that startups are risky. Some obviously are successful, many fail. And so, it was part of my journey, I guess part of most entrepreneurs’ journey. Feloni: So if you didn’t grow up in a culture very much like, yeah, I go out, take these huge risks, like just follow your dream, or just like go do this. Where did that come from? Was that just something that was innate in you, or did you have a turning point? Case: I wrote a book – I named it “Third Wave,” and thankfully he was still alive at the time. He’s since passed away. Part of my introduction to the book was really acknowledging kind of the critical role he played, and kind of guiding my thinking. I read his book, and he had talked about the agricultural revolution, and then that was followed by the industrial revolution, and then he was predicting is the third wave is going to be the technology revolution, the digital revolution, which of course now we take for granted, but when he wrote that in the late 1970s, so four decades ago, it was kind of a crazy idea. Feloni: Who is this kid?! Case: Who is this crazy kid? Yeah. They’re, like, what is he talking about? So most of those letters went unanswered. But it was something that was intriguing to me. And I just thought it would be important, and I wanted to be part of it, and wanted to figure out ways to popularise it. And so, I became kind of fixated on figuring out some way to break in, some way to kind of have a role in this first company I went to that started failing. That was the bad news. The good news is two of the people I met there and I ended up starting AOL, was then called America Online in 1985. So, even though the startup was a failure, some of the relationships I forged there, and some of the insights we gleaned there ended up helping in terms of the creation of America Online. 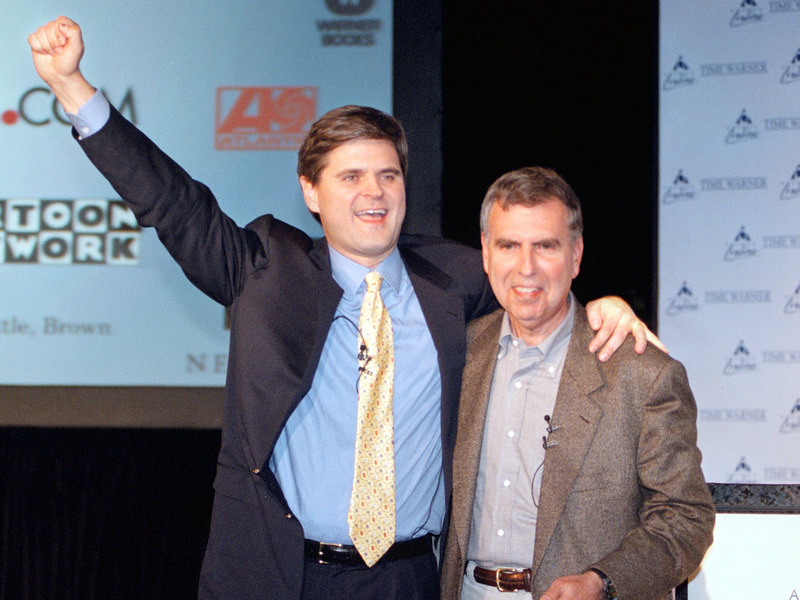 Courtesy of Steve CaseCase helped bring an internet experience to the masses with AOL. When we started AOL in 1985, only 3% of people were online, and they’re online an hour a week. And so, it was a concept. The reality is, people weren’t online. Most people didn’t think anybody would want to bother getting online. Like, why would somebody go through the trouble buying a personal computer so they can type a message on a keyboard to somebody when they can just pickup the phone and call somebody? Like, that’s not going to ever work. And that scepticism was there for more than a decade. Finally, the idea of the internet kind of took off, and thankfully, at that point, AOL was well positioned and kind of got America online at our peak – about half of all the internet traffic in the United States went through AOL. But for a decade, most people didn’t believe. I have that similar sense, that déjà vu sense, when I’m talking about the Rise of the Rest. I recognise a lot of people are sceptical, but we hope to prove them wrong, and we believe we will prove them wrong, and maybe there’s some part of my personality that’s sort of, when people say it can’t be done, that’s sort of the challenge, and say, OK, well, we’ll see about that. Feloni: Ahead of AOL, when you were at Quantum Computer Services – so this was your first tech company that you were helping build up – you were saying how that didn’t work out well. You were working with Apple, but there were a lot of bumps along the way. Just looking at that experience, what did it teach you ahead of AOL? How did it prepare you for building a company that became huge? Case: Well, the early days of when we started what’s now known as AOL. In 1985, initially, the name was Quantum Computer Services, and the initial strategy, and it was true for the first several years, was essentially a partner with personal-computer manufacturers to create custom, almost private label online services for each of them. So that really was our strategy. We weren’t able to raise much capital. Our initial venture capital raise was about $US1 million. At the time, there was a company called Prodigy backed by IBM and Sears, and they had committed $US1 billion to launch Prodigy, so our $US1 million was not going to beat the Prodigy $US1 billion. So rather than trying to compete head to head, we decided to kind of have this strategy of partnerships. And so for the first several years, that was how we built the company; it was on the back of these partnerships. And so they actually worked quite well and took us from this startup to actually being a real company. But one of the key partnerships was with Apple. We licensed their brand name to create this Apple Link service, and not long after launching it, they decided they didn’t really like the idea of kind of having some other company use their brand. I don’t think they had licensed their brand to anybody else before. I’m not sure they have since. So that was frustrating, and kind of scary, because we thought that was going to be a big part of our growth for the next few years, but it was clear that Apple was firm about that, and so we negotiated kind of a settlement to go our separate ways. And since we couldn’t call it Apple Link anymore, we said, OK, we need to call it something. We had a little internal contest, and it ended up being America Online was the winning brand. So the challenges of that partnership with Apple kind of led us to have to kind of relaunch as America Online, and then over time that service really got traction, and then we ended up kind of changing the company name, a couple years later, taking the company public. The lesson was those partnerships were critically important to get us going, we would not have been successful without them, but there was a point where we kind of have to kind of stand on our own two feet, and move away from being so reliant on these core partnerships. We had 300 partners at our peak and worked with a lot of media companies, and computer companies, and software companies, and communications companies, and so have a diverse kind of roster of partners, but not be reliant on any one of them. Feloni: When did you realise that AOL was a huge success, that the sceptics were wrong, that it actually had become mainstream? Case: It was easily a decade after we got started. It was probably 1995, maybe 1996. And we had started in 1985, so it was a good decade. 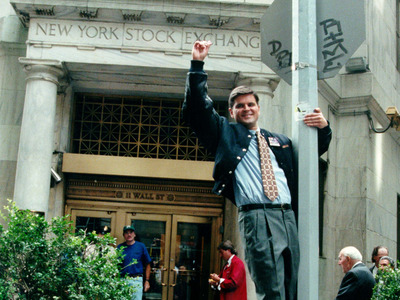 Even when we went public in 1992, it was the first internet company to go public. But nobody really cared. It didn’t get much attention. As I recall, we raised $US10 million in that IPO, and the market value that day was $US70 million, and it was just like some quirky little computer services company going public. It didn’t get much attention. Courtesy of Steve CaseCase in front of the New York Stock Exchange the day AOL was listed on NYSE. The company went public in 1992. The other one I remember, the date I remember where it just felt like we arrived, I guess, was in, I think it was in 1996, we had shifted from kind of charging by the hour to use our service to essentially a flat rate monthly fee for unlimited access, and we knew that would result in a lot more usage, but the amount of usage exceeded our expectation, so we had a huge problem with busy signals at one point. The whole system was down, I think it was for 23 hours, or something, and the fact that AOL was down, led the news for all the networks with one of the lead stories, headline in almost every newspapers in the country that AOL was down, and it was striking because it was only a few years before that nobody knew or cared what we were doing. If we had been down for a month, nobody would have noticed. Suddenly, the fact that we were down for a day was this national crisis, and that was because people had embraced the internet, and really were relying on it for their email and many other services. So, it went from something that was fringy and viewed by most people as sort of nonessential, maybe even irrelevant, to something that was quite fundamental. Feloni: And then shortly after that, you started ending up appearing on magazine cover after magazine cover. Not only AOL becoming part of the mainstream, but you became like, the face of the company. How did that feel to you when that started to happen? Case: It was a little weird. I did feel that from the early days, because that people were a little, I don’t want to say scared of the technology, but a little uncertain about the technology in terms of the internet and what it was going to be like, and it just seemed this computer stuff seemed a little forbidden to some people, or just a little scary to people; that we needed to make sure that AOL had a friendly face, and that everything we did in designing the software and the services were trying to make it more engaging, make it easier to use, more useful, more fun, more affordable. Part of the reason we even had the people signed on, the welcome message of “Welcome” and “You’ve got mail” was to make it feel more personal, make it feel more human. And as part of that, I concluded that I needed to kind of be the face of this service, and I needed to be kind of like in addition to being the CEO of the company, kind of the mayor of the community. So, I’d write letters to our members every month with updates on what was happening, not just with AOL, but more broadly with the evolution of the internet, and then I became a more visible spokesperson not just for AOL but for the medium at large, and started getting involved in the late ’90s on to some policy issues, including, as the internet kind of came of age, how do you make sure that the right policies are put in place. I went from being kind of relatively unknown to being quite visible. Feloni: Was there a side of you that was thinking, OK, I’m making this digital age that I wrote about when I was 20 years old a reality? Case: It’s something I had been thinking about for many years, and by the time it really took off, it had been 15-plus years from the point where I first became curious about this in 1978-79, to the point where, in the mid ’90s, things really started to take off. In the late ’90s is when things really accelerated. But in some of those early years, wasn’t just the partnership with Apple, we had many other challenges where we’d have to go through layoffs, and there were times where it didn’t look like the company was going to survive. So there were near-death experiences. Feloni: So when AOL became a behemoth, by the end of the ’90s, what led to the decisions to merge with Time Warner in 2001? Case: It was a bunch of things, some offensive, some defensive. We really did believe that the next wave of the internet was going to be broadband. Of course, now, that’s taken for granted. But in 1999, we were the leader, AOL was the leader by far in what was then the dial-up, narrow-band world, and the market was beginning to transition to higher speed broadband access, and we needed to be well positioned for broadband. So, that was part of it, was to make sure we were as well position in the broadband world as we were in the narrow band world. The other reason was more of a financial diversification point that AOL stock had soared in the 1990s, and went from going public in 1992 as $US70 million market cap, by the end of decade seven, eight years later, it was $US160 million. It was the best performing stock of the decade. I think it was up something like 11,000%. And so by merging with Time Warner – and our shareholders ended up with the majority of the combined company – instead of having 100% ownership of a company that AOL owned – I think was $US5 billion of revenue and $US1 billion of profit – the combined company with AOL and Time Warner was more like $US40 billion of revenue and $US10 billion of profit. And so that was a more diversified mix of businesses, also, was something we thought was important to kind of protect us on the downside. Chris Hondros/Getty ImagesIn his book ‘The Third Wave,’ Case said he came to regret the ‘victory shot’ of him with Time Warner head Jerry Levin. The deal was a major failure because of the dot-com crash and a culture clash between the companies. So, strategically, it made a lot of sense. The challenge there, the reason it struggled and really failed as a merger was not the strategic potential, which was certainly there, but the execution. And I’ve cited this quote from Thomas Edison he said it over a century ago, that “Vision without execution is hallucination.” Having a good idea is important, but being able to execute the idea is even more important, and that comes down to people and priorities, and we were unable with the combined AOL-Time Warner company to get that side of it right. The assets were there, but we didn’t get the people and priorities right. Feloni: So were there lessons around execution that stuck with you that you implement even today? Case: Stock was in free fall. And so that was the timing of, it kind of played into it, as well. But a lot of it was a sort of a culture clash that people coming from the AOL side of things were viewing the internet as a great opportunity. People coming from the Time Warner side were viewing it a little more as a threat. They were worried that this internet would cannibalise their business, and of course there was risk of that, but that led to different kind of approaches. So it really came down to trust, and kind of there was not a common vision that the team embraced and was aligned around. I had seen the success of AOL really was having that clear vision, and having a team that was kind of very aligned on, and passionate about it. Instead of running it as one company, it really was run as independent divisions that each were doing their own thing, and there was more of a bias toward playing defence, to protect what was there, and make the near term kind of numbers work, and a little less of playing offence to kind of seize the opportunity. So that was a difficult chapter, and certainly difficult for me personally. But having watched that, having been part of that, I realised that vision without execution is hallucination, and realised that ultimately it came down to people, and therefore the efforts have been tried to be focused on in the last decade or so, whether it be policy, issues, working on the jobs act five or six years ago, to jump starting our business startups act, or more recently being the advocate for the investing and opportunity act, I’ve spent a lot of time talking to democrats and republicans, and trying to build relationships, trying to build good will, trying to build trust so there is more of a willingness to at least listen, and perhaps kind of buy into things. Feloni: And in this period too, you’ve noted before how like, in 2000, Vanity Fair named you the No. 1 person in their new establishment of movers and shakers, and then a couple of years after that, the media had kind of turned on you, blaming any struggles within Time Warner mostly on you. What did that feel like? How did you recover from that when it seemed as if public opinion had kind of shifted against you? Case: Well, I didn’t enjoy it. It was hard to deal with that, and the Vanity Fair thing was particularly kind of odd, because it was two years running, I was, like, No. 1 on their list, and then suddenly I was off the list altogether. It kind of went from being this important person in the world to being kind of irrelevant. I understood that that kind of goes with the territory. It’s the nature of how these things kind of work. In terms of the merger itself, there’s mixed views on it. I was the architect of the merger; it was my idea. I proposed it to Jerry Levin, who was the then CEO of Time Warner. So the idea of merging AOL and Time Warner, I am completely responsible for, and I own that completely. The execution of that merger, I have a somewhat different view on. I was the chairman of a company, but I did step down as CEO, and so none of the businesses, including AOL, reported to me. And we had some big fights in the boardroom about what to do, and the decision was to go in a different direction, which is why ultimately I decided to kind of step down as chairman and leave the board. So I share some of the frustrations around how the merger was executed. There were enormous missed opportunities, and I accept some of that responsibility, but not all of it, because I was not really on point kind of running it day to day. I certainly accept the responsibility for the idea of the merger because it was indeed my idea. Feloni: When you left AOL, and you resigned from the board at AOL Time Warner, that was back in 2005, you could’ve done a much more traditional path, like maybe go on some boards, start another company, or just have even a more standard venture-capital firm. But with Revolution, it became something where you’re, like, travelling the country in a bus, investing in all these different cities usually overlooked. Were you just trying to make things more difficult for yourself? Case: No. It took a little while after I stepped down as CEO to figure out exactly what I want to do, but I spent some time with some entrepreneurs, starting making some investments, and I enjoyed that, just sort of mentoring the next generation of entrepreneurs and learning about other sectors of the economy, things that I hadn’t necessarily focused on when I was running AOL. And then started ramping that up, but definitely, the whole idea of bus tours and the Rise of the Rest, then sort of was motivated by a recognition that right now it does matter where you live in terms of whether you have an opportunity to pursue the American dream. 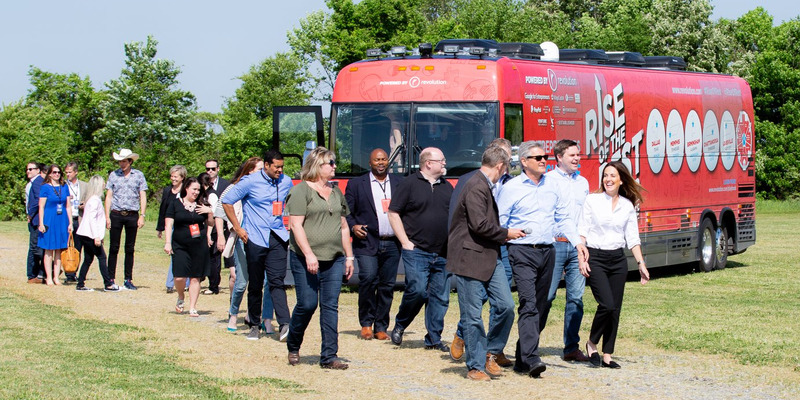 RevolutionCase and his team leave the Rise of the Rest bus during their Memphis trip. It’s crazy to me that 75% of venture capital goes to just three states, you know, California, New York, and Massachusetts, and the other 47 states are fighting over the other 25%. These are big states, like Michigan, Pennsylvania, and Ohio – each gets less than 1% of venture capital last year, and California got 50%. That just doesn’t make any sense. There’s a fairness aspect to it, but also just a kind of an opportunity aspect to it. How do you make sure that we really are going to level the playing field, and we really are trying to back entrepreneurs everywhere across the country, across many sectors of the economy, so that we can continue to be the most innovative entrepreneurial nation in the world, and we can try to create jobs everywhere, not just in a few places. Feloni: It’s really become a really big movement that has some of the top investors in the country involved, and you visited what, like, 33 cities? Feloni: Are you motivated by wanting to be at the forefront of a new era, like, as you say, the third wave? Is this what’s driving you to that? Is that what is the main motivator? Case: Yeah, there’s some of that. I want to be involved in that, and there’s something I can do to help drive that. Because I’ve done it in the past. I have a voice, and a platform, and I want to do something constructive with it. I want to make sure I’m doing everything I can to be helpful, and so that’s a key reason why I do it. I recognise that America itself was a startup. Two-hundred fifty years ago, it was just a startup. It was just an idea. And this country led the way in the agricultural revolution, and led the way in the industrial revolution, and more recently led the way in the technology revolution, and gone from this fragile startup nation to the leader of the free world. I want to do what I can to make sure we continue to lead, and we’re not going to be able to do that unless we continue to innovate. The internet now, of course, we take for granted, but in those early days, most people didn’t believe it ever would be a phenomenon. So what are the other ideas out there that some entrepreneur has somewhere in the country that could not only create an interesting company but help create a whole new industry that this country can lead the way on. So that’s a critical part of this. I’ve seen with jobs and innovation entrepreneurship that is one area where you can bring people together, and kind of forger a consensus and find some common ground. So, for all those reasons, it’s something I’m super passionate about. 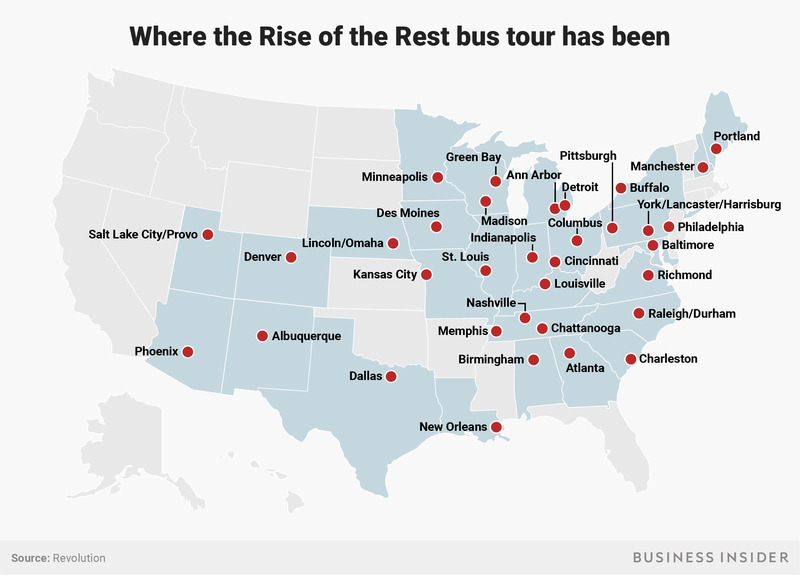 Feloni: I joined you on the Rise of the Rest tour for Chattanooga, Tennessee, and Louisville. When you’re investing in places like this throughout the country, I would imagine that some of the challenge in terms of both pitching it to a city and just bringing in that inclusivity would be, when you think of startup jobs, you would think typically, people who already have some money, who maybe are highly educated … How do you find ways that it actually does benefit an entire city, and doesn’t just create a new just basically benefit the elite class of that city? Case: Well, there are a number of facets to it. First of all, when we talk about backing startups, we’re not just talking about tech startups. Obviously, there are many tech startups, but we back nearly 100 companies, and a whole variety of different sectors – food companies, clothing companies, all kinds of things, not just tech companies. The second point is to recognise that the startups aren’t just creating jobs directly within those companies. The data suggests that for every startup job there are five other jobs created. It could be construction people where people build homes. It could be kind of service-economy jobs, restaurants, other kind of things. They have a kind of a flywheel effect, and they create other jobs in the community that are critically important. At the same time, and we’ve said this in really every city we visited, it does require intentionality. It does require making sure that you really are trying to make sure that you have a diverse mix of entrepreneurs that you’re engaged with. There have been audiences as I travel around the country where I’ve looked at, and it’s 100% white guys. Last year, over 90% of venture capital went to white men, less than 10% to women. Last year, less than 1% went to African-Americans, so this is a great entrepreneurial nation, we should be proud of it, but the data suggests it does matter where you live, it does matter what you look like, it does matter who you know, whether if you have an idea you can really turn into a company, and really have a real shot at the American dream. So we have to figure out ways to level that playing field and be more inclusive. Shayanne Gal/Business InsiderCase and his team have visited and invested in 38 cities in the past five years. Feloni: So it’s kind of like rethinking the concept of entrepreneurship in America, basically. Case: Yeah. Entrepreneurship takes many forms, and the small-business sector is obviously important. It accounts for a lot of jobs. Some of those small businesses could end up being big businesses. Every Fortune 500 company starts as a startup. So some of those small businesses, if they kind of have access to capital, or mentoring, or partnerships, or other ways to accelerate their growth, could be big. You mentioned being with us in Chattanooga. The winner of our pitch competition there, Freightways, was basically building a Bloomberg data system for the trucking industry. And I didn’t know this until I got there, but as you saw it, Chattanooga’s actually kind of like the Silicon Valley of trucking. A lot of big trucking companies happen to be in Chattanooga. So, if you’re building a data systems platform for the trucking industry, doesn’t it makes sense to be in Chattanooga where people understand trucking, and the big customers, the big partners are kind of right around the corner? It seems like that’s an advantage to Chattanooga, and we’re seeing this in other cities as we’ve gone around the country, that they’re building on their unique skills. So, it is happening, we just need to tell those stories, and get more people understanding what’s happening in these communities, and backing these entrepreneurs, including the investors, because the capital they need to start and scale their company is harder to get if you’re in these what some call fly over country. And as a result, there’s a huge brain drain where people grow up in those places, end up leaving. So how do we slow that brain drain so people are able to stay where they want to say? And even, how do you trigger boomerang if people left, now feeling like maybe it’s time to come back, maybe it’s time to come home? Feloni: When you look at your entire career, and then where you are now, how do you personally define success? Case: It’s about impact, and I do have a desire to have a broad impact. And so, trying to kind of reach more people, more places, whether it be with the internet, or more recently with the Rise of the Rest, it’s trying to have the broadest possible impact. I want to try to maximise the impact I have. And so, I tend to pick bigger problems, and try to have a bigger impact. I recognise when you do that, they are also bigger risks. Some of the things we try to do will not be successful, I understand that. But for me, it’s how do you make sure you are doing everything you can to make the world a better place, and try to kind of lift up as many people and communities as possible. RevolutionRevolution’s Rise of the Rest team, from left: Sapna Mehta, Anna Mason, JD Vance, Case, Mary Grove, and David Hall. Feloni: You spent years mentoring entrepreneurs; it’s something you still do regularly. But is there maybe a go-to piece of advice you’d give to someone who just wants to have a career like yours? Case: It ultimately comes down to people and teams, that entrepreneurship is a team sport, it’s not about any one person. The founding CEO tends to get most of the attention, but it really is a team effort. That’s certainly the case with AOL. It’s the case with all the companies that we’re involved in as investors. So recognising the team dynamic, and trying to make sure you have the right mix of skills and perspectives on the team, is important. And yet, a related point, there’s an African proverb I love, which is, “If you want to go quickly, you can go alone. If you want to go far, you must go together.” I think “going far, going together” means partnerships. And so, that partnership orientation is very important. Feloni: It’s all about relationships. Case: Yeah. Ultimately, it comes down to people. Whether it be individual people on your team, or the people you need to work with to establish partnerships, or the people you need to increasingly work with in this third wave that are going to impact policy, regulators, other folks. If you get the people right, almost anything is possible. If you don’t get the people right, I’d argue nothing is possible. Feloni: Well, thank you very much, Steve. Case: Thank you. Great to be with you.